Today was a completely uneventful Thursday. The kind of day I crave when things are chaotic and messy and hurried and broken. But also the kind of day that sometimes feels insanely crawling and slow and boring when it is actually happening. I wanted to come up with a fun adventure to go on after the boys therapy, but I was uninspired. Finally we just ended up going in our back yard to play. 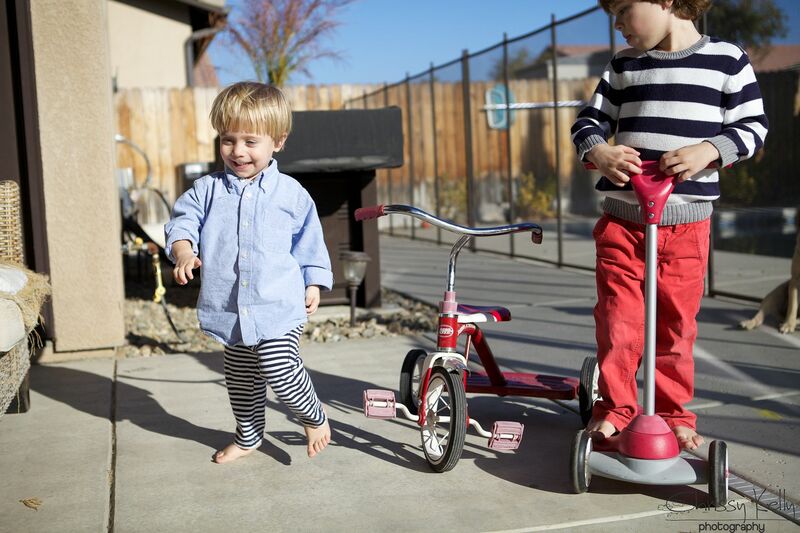 And despite the fact that sometimes I don't think I can hang out in our small back yard for one more second, the boys love it. It's simple and it makes them happy. And I was feeling kind of bad that I couldn't even muster up the energy to go to our neighborhood park. Then feeling annoyed to find myself in the backyard again. And later, I thought of the scene from the Pixar movie, UP. Have you seen it? If you haven't- you need to watch it immediately. Eight year old little boy Russel was talking to his darling and crotchety 78-year old neighbor, Carl Fredricksen, about the time he spent with his Dad before his parents got divorced. He’s really good at camping, and how to make fire from rocks and stuff. He used to come to all my sweat lodge meetings. And afterwards we’d go get ice cream at Fentons. I always get chocolate and he gets butter brickle. Then we sit on this one curb right outside and I’ll count all the blue cars and he counts all the red ones. And whoever gets the most wins... I like that curb. It might sound boring, but I think the boring stuff is the stuff I remember the most. I remember watching that scene for the first time and hearing those words, experiencing instant chills. Isn't it so true? I remember the simplest memories from my childhood as being the very best. Catching lightning bugs with my neighbors until it got dark. My Dad taking us up to 7-11, each with our very own dollar to spend. A dollar was still something then and we got to pick out candy and then do the math to make sure we didn't overspend. I remember swimming in my neighbor's pool. Running through sprinklers, drinking from the hose. Everything I remembered that I loved, was usually free, (Or a dollar! Ha!) 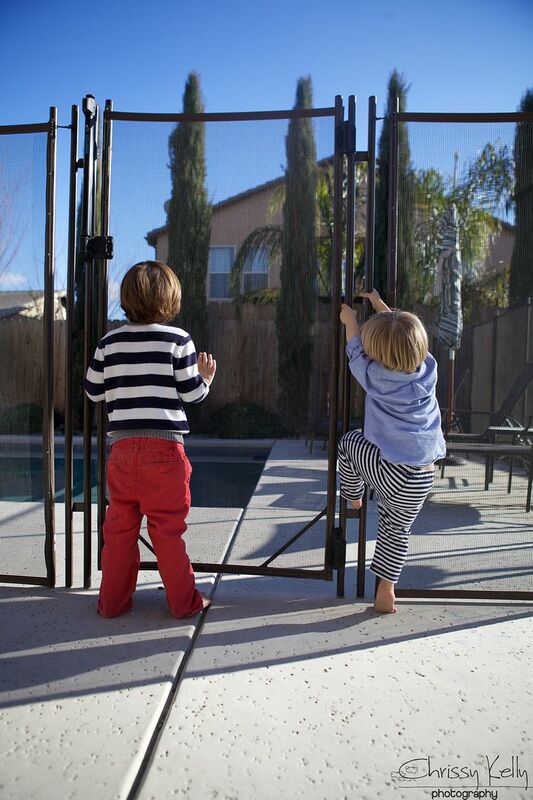 And suddenly while the memory of it all of this flashes through me, I don't feel so bad, for our magical uneventful afternoon in the back yard. If you are too young to understand the movie reference, I'm not sure if we can be friends. 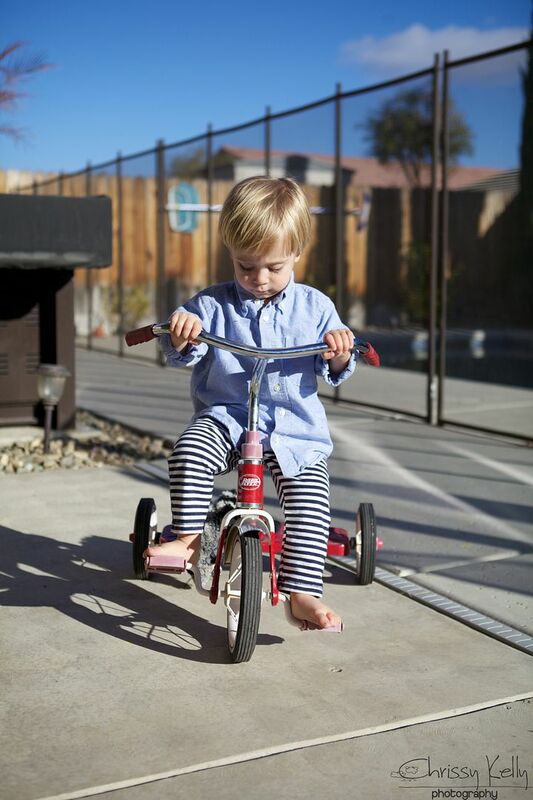 He can't ride yet, but he likes to sit on it. They are so ready for swimming and Summer. Me too- but I'm not in a hurry. I want the growing and getting older to slow down already, I don't want to wish it away. Parenting really is a roller coaster...I guess all of life is really. Such crazy highs, such deep lows- often all at the same time. I guess that's why it is also so amazing. 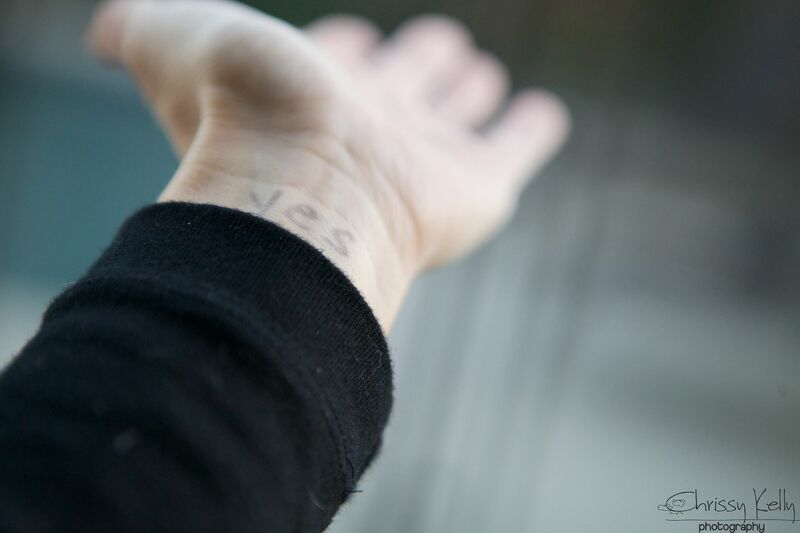 I wrote yes on my wrist- to remind me to pause throughout the day to find a moment of silence any time I saw it. It worked because I had a handful of purposeful pauses throughout the day . Here's the thing- I know my mind will never be silent most of the time, and I don't need it to. I need a healthy daily dose of mind chaos. It helps me write and love and appreciate and perspectiveize (yes, I made that word up- but I know you'll get it. That's why I like you.) I also need moments of silence that refill me and empty me all at once that remind me of everything good in life. Moments I don't take. So I guess I am not looking for perfect, I'm just looking for a little bit better than the day before. I'm good with that. The word yes makes me happy. After over a year of hard work and trying, Greyson is starting to say yes at times it makes sense. Do you want to go outside? I ask- to which he usually responds -sowsigh (repeating outside). But lately, over the past couple of weeks he will absolutely astound me and say yes. And then I usually scare the crap out of him I scream and clap and yell so loud. Carl Frederickson and his wife, Ellie were saving all their young married lives to go to their dream spot- Paradise Falls. But something always came up, something that they had to put their money towards instead. Life got in the way of living. They get old and Ellie dies, their dream never coming true. Let's not let that happen to us, Friends. Let's go get our own Paradise Falls. I did it- I'm taking a risk. I've signed up for a writing workshop next April on Orcas Island. It's going to be an amazing life experience. 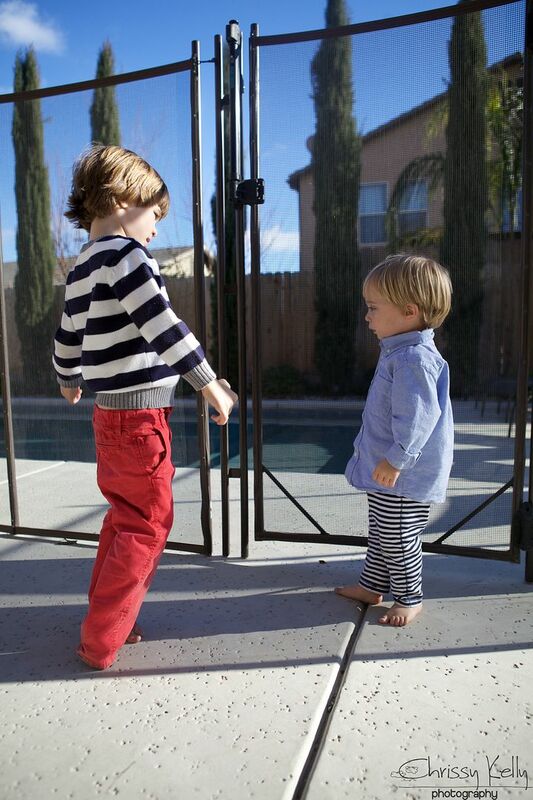 And I'm nervous, petrified to leave my boys, but there's a feeling of hope and excitment high in my chest. And I think it's going to save me. From what? I don't know. And I don't think I'll ever find out unless I don't go. What about you? Where is your Paradise Falls? Eeek I'm so excited for you!! When I saw who was attending the workshop I immediately thought of you. Wow way to take a leap and go for it Chrissy!! 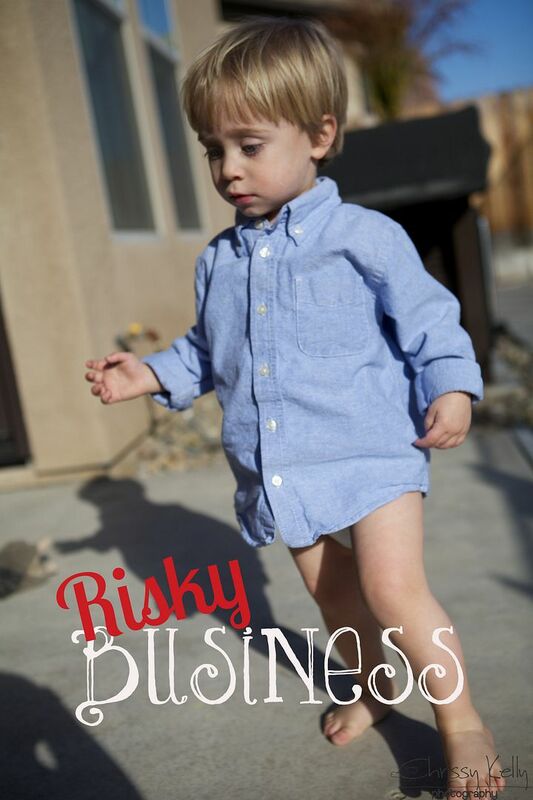 Love the Risky Business pic and happy to hear your dad is well. congrats on taking the leap and signing up for the workshop. very brave of you. I'm not there yet. maybe some day. So excited to hear all about your Orcas Island trip when you return...wish I could go!